COTSWOLD HOME & 1/2 ACRE LOT - Perfect location, this home is ideal for Renovation or a completely New Home...this is where you want to be!! 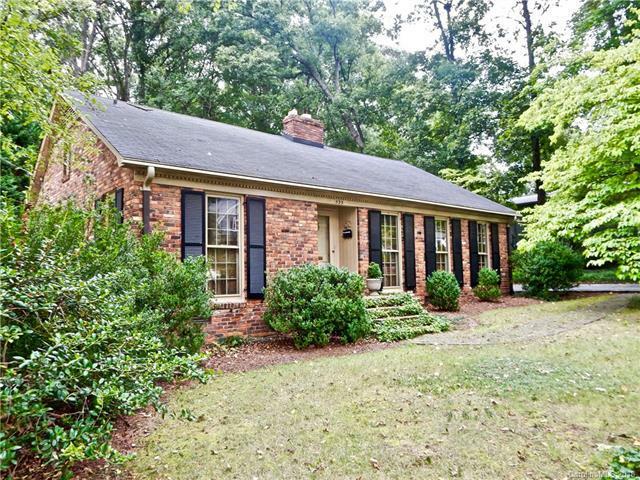 Built in 1958 by Al Hayes, this is a true find in the heart of Charlotte. Formal Living and Dining Areas; high, smooth ceilings along with Large Custom windows; 2 Large Bedrooms with Original Hardwoods; wood-burning Fireplace; French doors. Den with built-ins and original solid wood panels; Enclosed glass Sunroom w/HVAC; Kitchen has eat-in breakfast area; lots of cabinets; newer electric oven & microwave; Large attic w/storage allowance.Partially fenced yard; 2 Car Detached Garage w/side entry; separate shed wired for electricity; large lot with mature trees and serene atmosphere; Roof replaced in 2010...this home is to be sold "AS IS". Offered by Thomas Property Group, Inc.. Copyright 2019 Carolina Multiple Listing Services. All rights reserved.